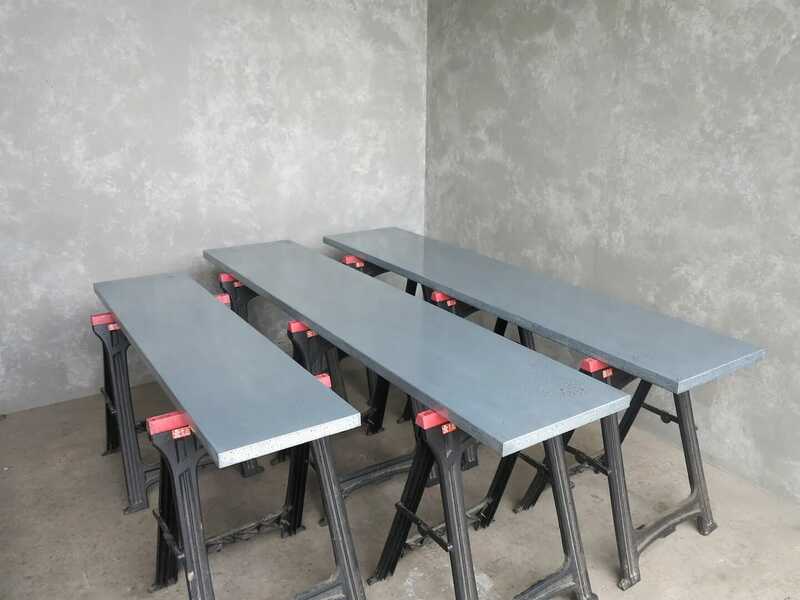 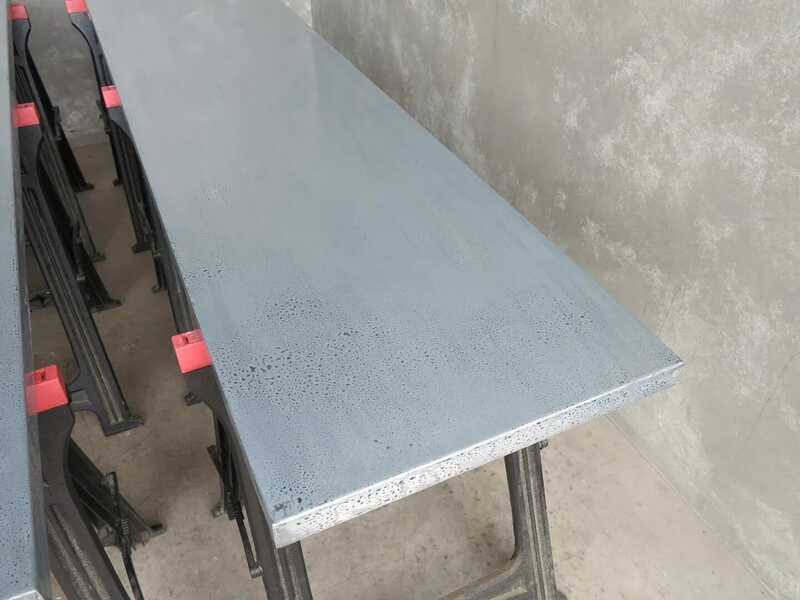 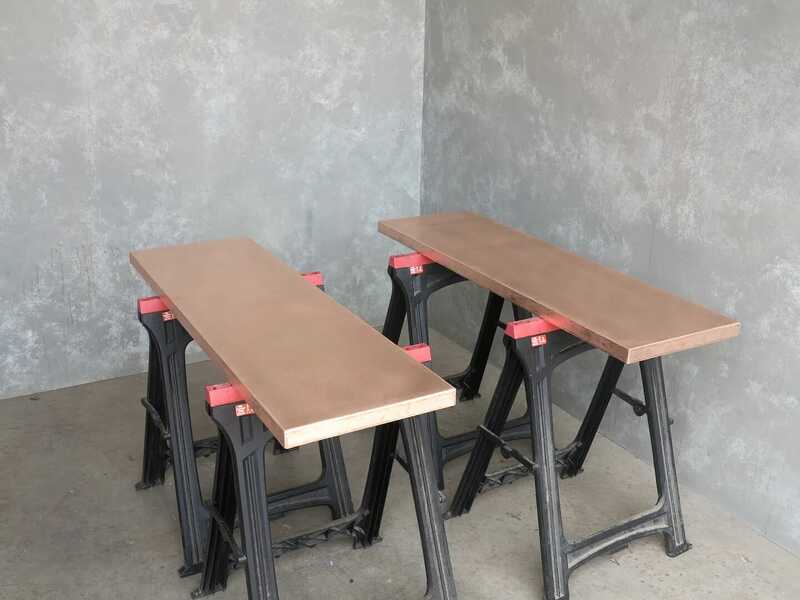 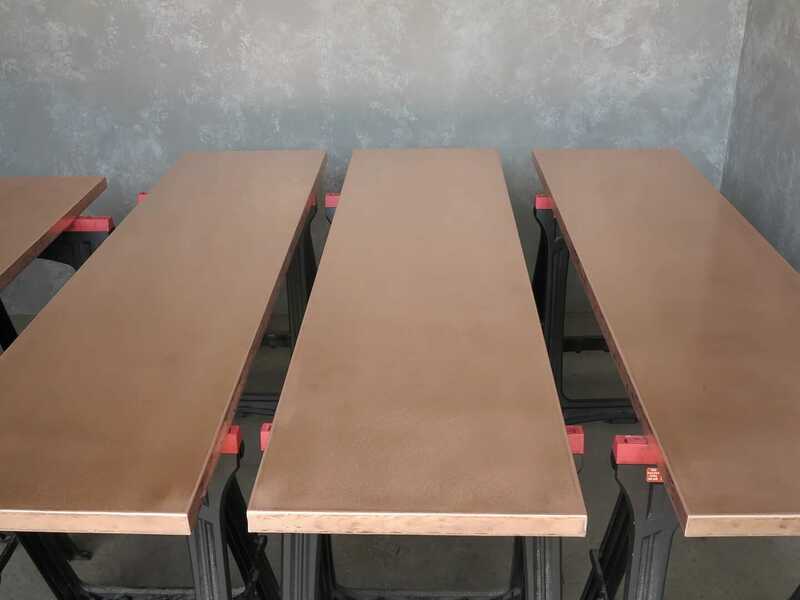 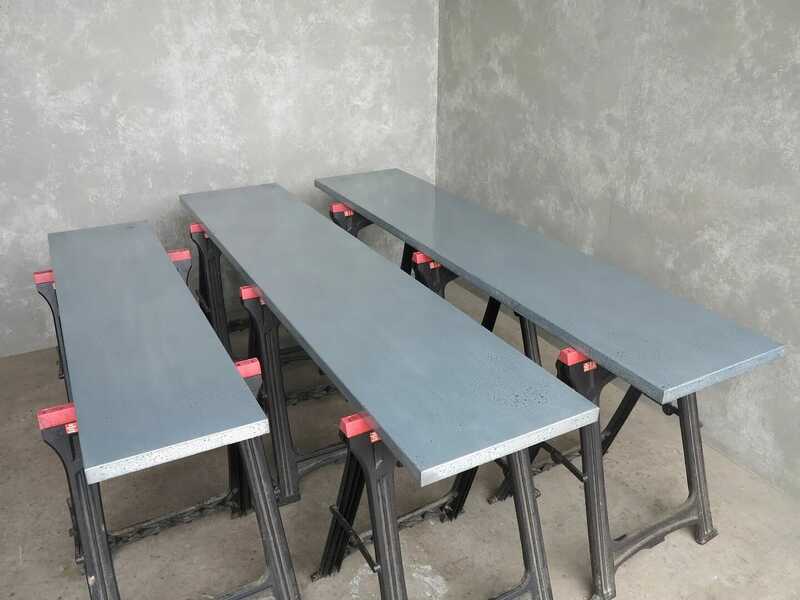 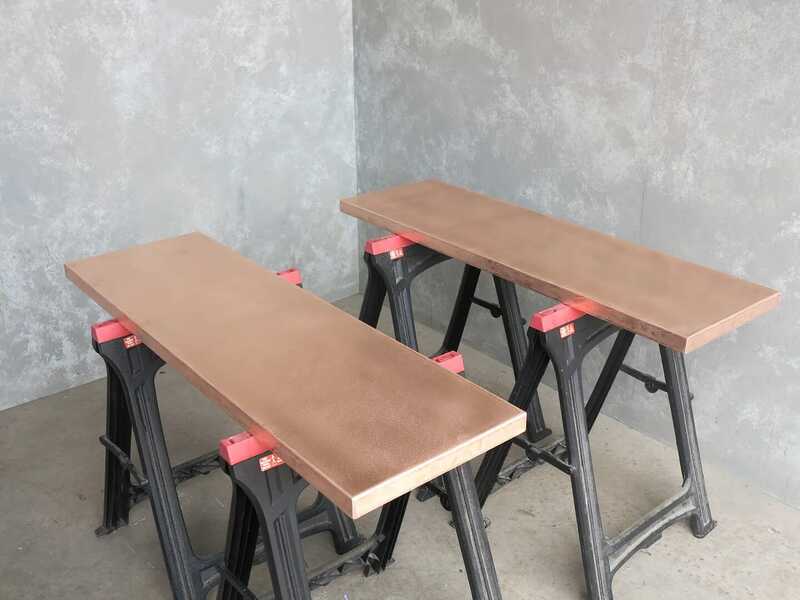 These copper & zinc tops have the following specifications: Zinc = 2 x 2350mm x 450mm, 1 x 1690mm x 450mm all 40mm thick with square corners in a antiqued distressed finish. 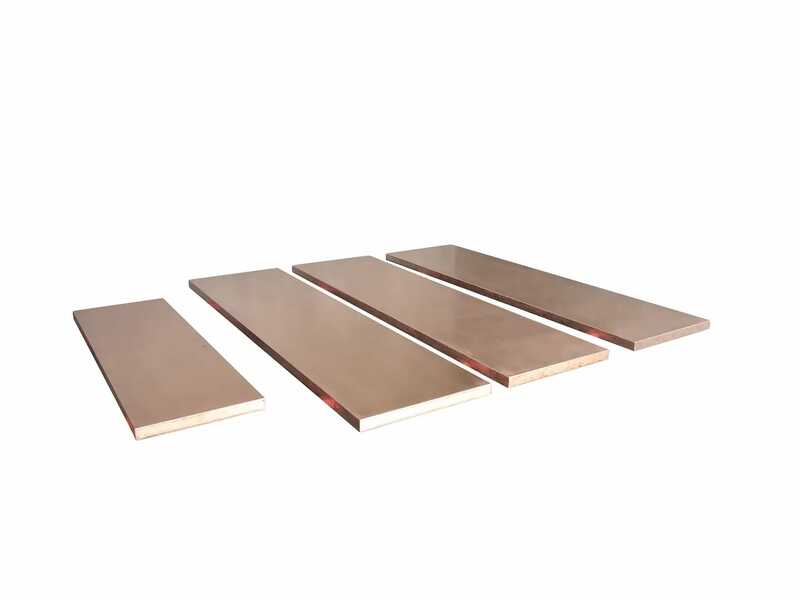 - Copper = 3 x 1833mm x 450mm 2 x 1000mm x 400mm all 40mm thick an all with square corners in a matt finish. 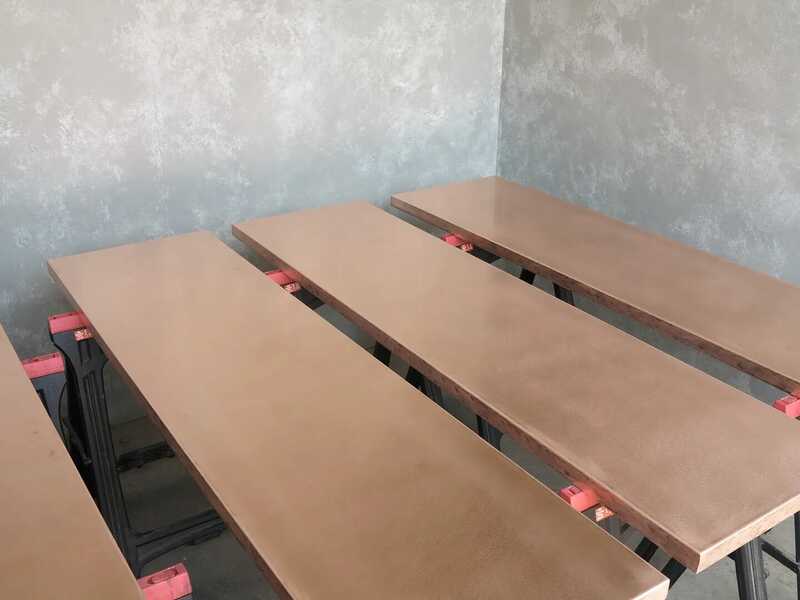 Our bespoke zinc and copper worktops are all handmade and built to your specifications here at UKAA by our experienced team of carpenters.